Water lilies (Nymphaea) are probably the most desired aquatic plant – with their glossy green leaf pads and exotic looking flowers not only do they look great, they create welcome shade in summer months for fish and aquatic invertebrates, helping maintain a healthy aquatic habitat. 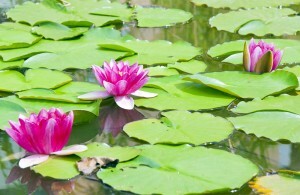 Despite the beauty and benefits that water lilies bring to a lake or pond, they can grow vigorously forming dense colonies, reducing light penetration resulting in the decline of aquatic plants and creatures, a reduction in biodiversity and interference with any leisure activities that may take place on or in the water (boating, swimming, fishing, etc). This problem is particularly evident with warmer waters during summer months and there are now many lakes, ponds and slow running rivers that are beginning to suffer the consequences of water lilies taking over the water body. Regular maintenance of water lilies will help keep them under control, and still allow wildlife to make the best of them; places of rest for frogs and dragon flies, and shade for fish. 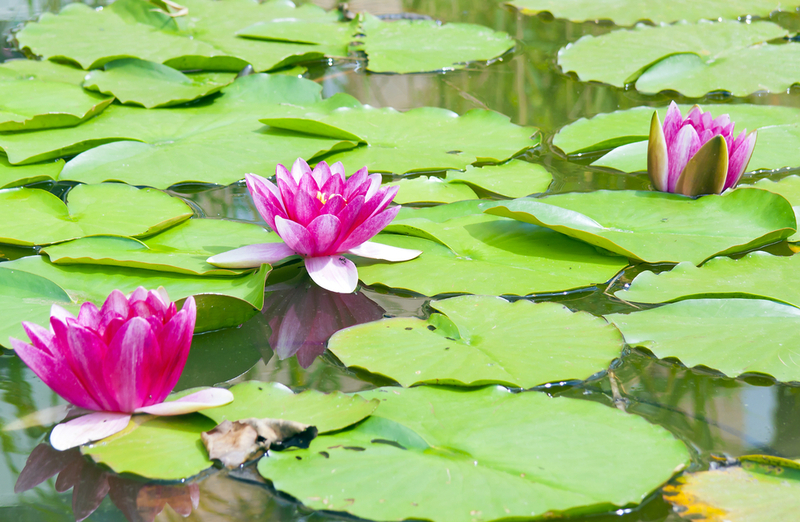 There are 2 ways to keep water lilies under control. The first method is by spraying, which needs the permission of the environment agency and must be carried out by licensed professionals. The second option is much more environmentally friendly and requires the physical removal of the rhizomes from the lake or river bed. Using the excavator attachment on our Truxor amphibious machine, water lily rhizomes can be grubbed out in next to no time, and the work can be targeted to leave enough of the water lilies to take advantage of their beauty and benefits, while reducing the negative impact that an “infestation” will bring. Take a look at one of our water lily projects here. If you have problems with water lilies, please contact us by phone on 01788 810614, email info@aquatic-solutions.co.uk, or by completing the form below.